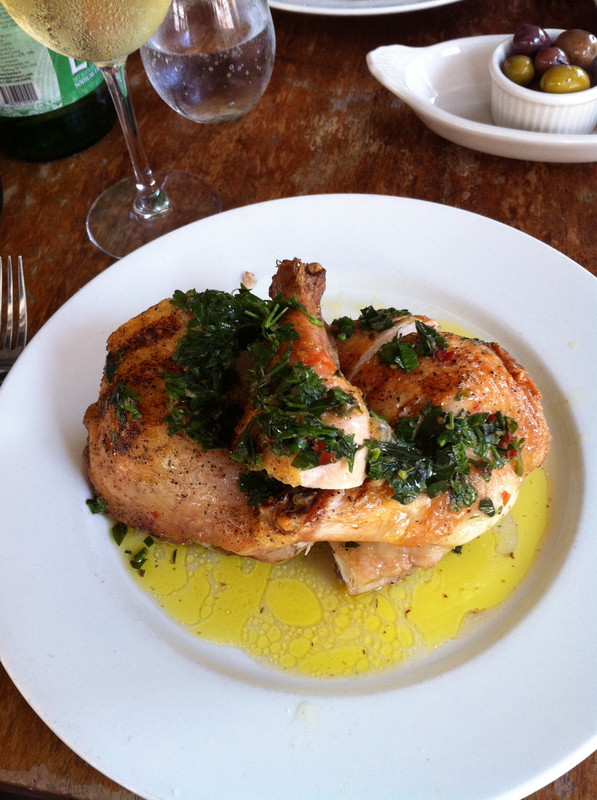 Barbuto… amazing roast chicken! | 15,000kms of Food! I loved having lunch here so much that we came here twice during our 11 day stay in NYC. 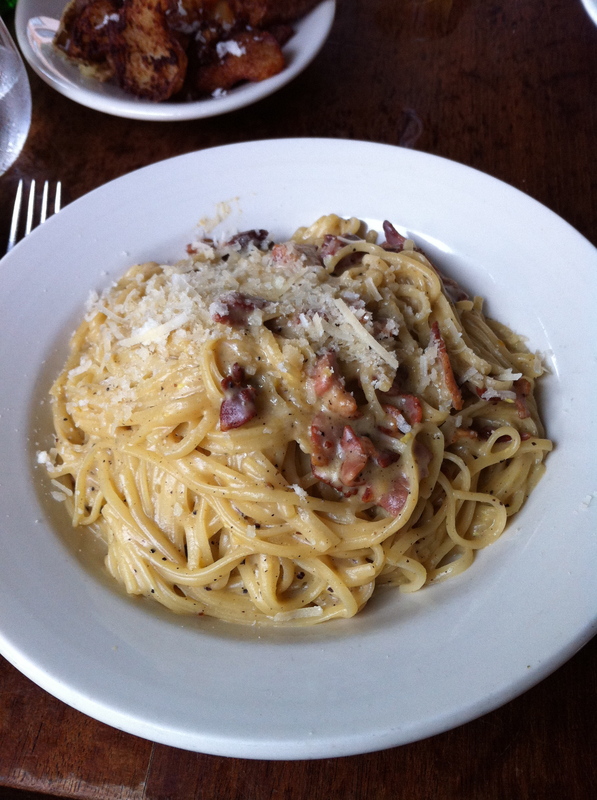 Barbuto has that perfect mix of casual dining with great fresh food. Dishes are the old favourites and priced reasonably. We were there in summer, so it was really lovely sitting there with the blinds up and the cool breeze coming through. For the tourists (like me!) this was also a great spot to lunch prior to shopping in the East Village! Also, it’s close to Magnolia cupcakes. The dish that we had each time we visited was the “pollo al forno” described as roasted JW chicken and salsa verde. Succulent chicken, crispy skin with herbs. Yum! The “linguetinne alla carbonara” had pancetta, farmhouse eggs, black pepper and parmesan and was a well done version of the old fav carbonara. The dish was massive! I struggled through it for lunch as it was quite rich and salty. 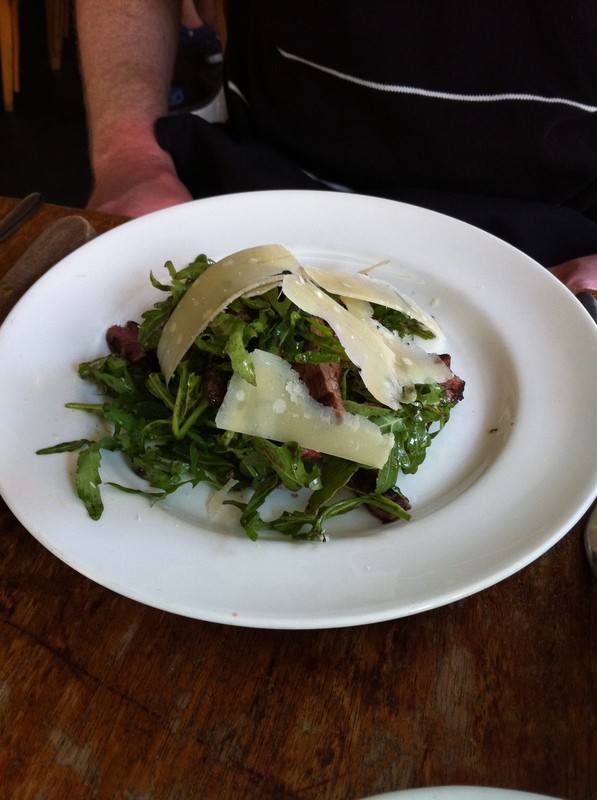 The “insalata di bistecca” was a arugula salad with skirt steak, parmesan and vinegar. It was a nice fresh salad with nice pieces of steak through it. The “patate” side dish was fantastic! 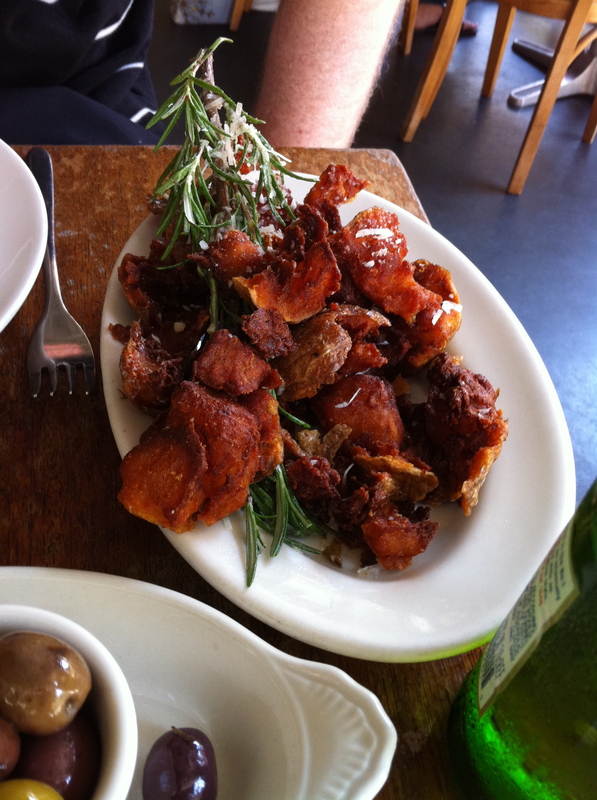 The potatoes were super crispy on the outside and soft on the inside. It was served with pecorino cheese and rosemary. If anyone knows how they make these potatoes, please let me know! Last but not least is the dessert. It was awesome! 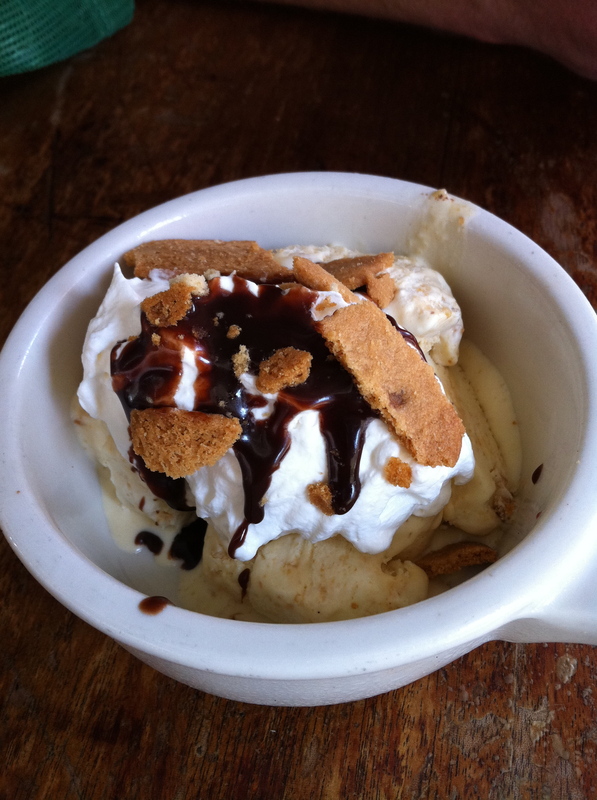 Had biscuit bits, banana, cream, chocolate sauce and ice cream. Great way to end the meal. Previous PostEstelle Restaurant & Bar… great new dining experience!Next PostCumulus Inc. Never Disappoints!